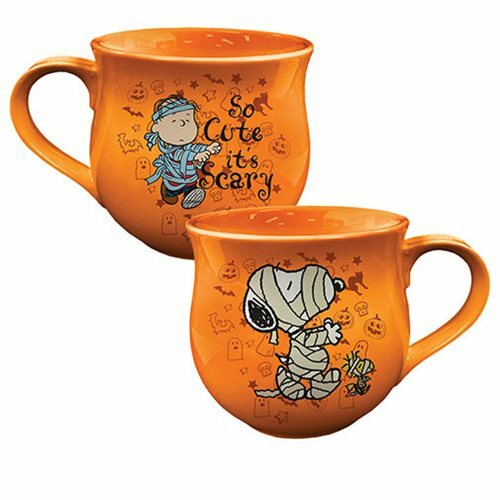 This 5 1/2-inch diameter x 3 3/5-inch tall Peanuts Halloween Cauldron-Shaped Ceramic Mug is "So Cute it's Scary." In fact, that's just what it says on the side showing Charlie Brown, while the other side displays Snoopy the mummy! Microwave safe, it comes in a matching full-color gift box. Hand wash only. Not dishwasher safe.